Sophia and Joe Yancey, Jr. certainly have a lot to rejoice about. 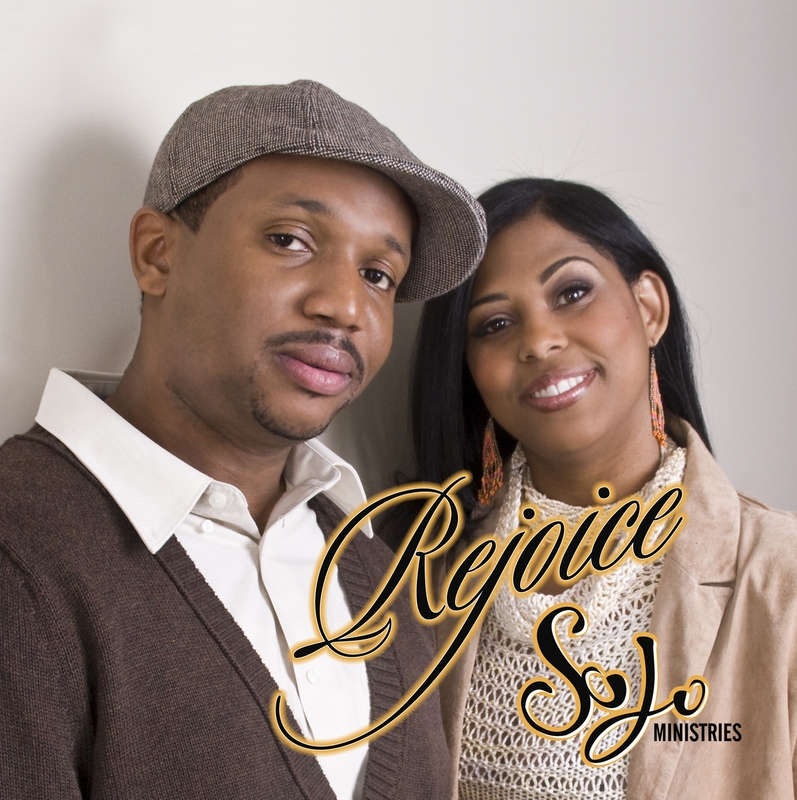 The anointed Husband and Wife duo are the owners of SoJo Ministries, where they have committed to ministering through song for the Most High! Joe composes the instrumental tracks including drums, while Sophia sings all of the lead and background vocals. The two are currently working on their first EP titled Rejoice to be released this summer. Bronze Magazine recently caught up with the dynamic pair to talk about business, relationships and rejoicing. BM: Sophia and Joe, it is a pleasure to have this chat with you both today. Please share with us how you both became committed to ministering through music? SJM: Thank you for wanting to chat with us. Well, God called us into ministry when he first put us together. My husband (Joe) was producing music and I (Sophia) was helping him with getting his music noticed. We started to help others with their ministries and really strayed away from our own music and what GOD wanted us to do. We both write our own music and sing all our own background music as well as Joe producing all of our tracks. About 6 months ago, my husband asked me to just sing a few songs so that he could shop them around to labels for a song writer’s contract and one thing led to another…people started requesting us to minister in song at their churches, events and so on…That was the beginning of our journey to where we are today as SoJo Ministries. BM: What is your mission through SoJo Ministries? SJM: To spread positive messages that will help heal the hearts of many people, encourage, and change lives through our real life testimonies that are expressed through songs. BM: Your music is described as Inspirational Urban Contemporary and Worship. What type of audience does such a diverse style of music reacch out to? SJM: We reach out to a wide range of audiences…from the youth to the older generations. National and International as well as all races and social statuses. We have a little something for everybody. BM: As a married couple in business together, how are you able to maintain a healthy work-life balance? SJM: Through prayer and submitting to each other, respecting one another’s ideas and opinions. We love writing, and singing for the Lord. It is fun to be able to share this experience with each other. It brings us closer because it’s a passion in our hearts. BM: Any wise words of wisdom to offer other couples in making it work in both business and at home? SJM: There are times you must separate the two. You must respect each other’s opinions and what each brings to the table. Remember we are all unique and have a talent, gift, or idea and you should be open to listen to what the other has to say. Through it all, love each other whether business or after business hours. BM: What makes being “Anointed Artists” so unique? SJM: There could be a room full of the most talented singers, well-trained, and so on…however when GOD’s called you and placed an anointing on you then you will stand out from the crowd and people will be drawn to you. BM: What are your current and future projects? BM: Where do you see SoJo Ministries in the future? SJM: We see more good music being produced from us and we see GOD doing outstanding things with SoJo Ministries by reaching out with our songs of testimonies to all countries, nationalities, ages, saved and unsaved, broken hearted, and the hopeless. BM: Thank you so much Sophia and Joe for inspiring us. We look forward to hearing more of your music in the future. God Bless! SJM: Thank you and continue inspiring others through Bronze Magazine! Rejoice!